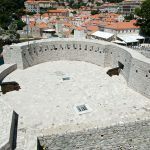 The fortress Bokar (or Zvjezdan) is one of the most beautiful instances of harmonious and functional fortification architecture. 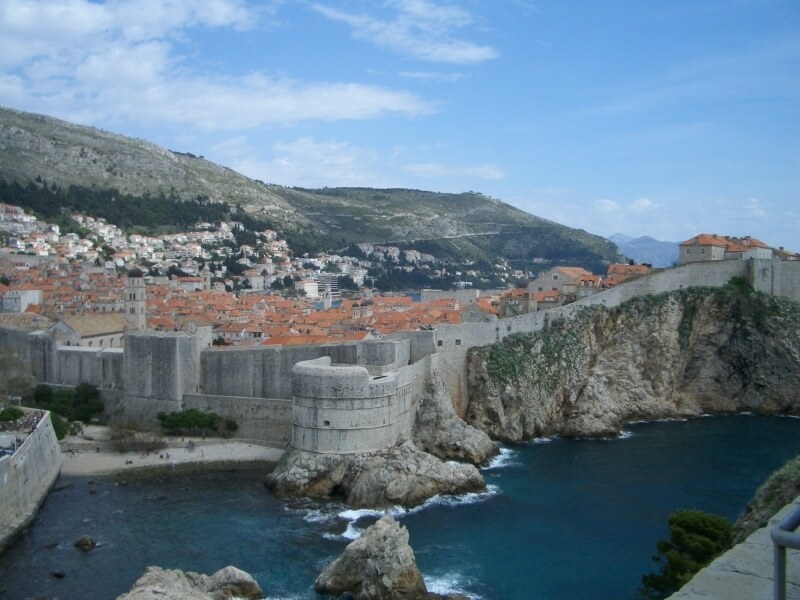 The fort is located on the South­western part of Dubrovnik City walls. 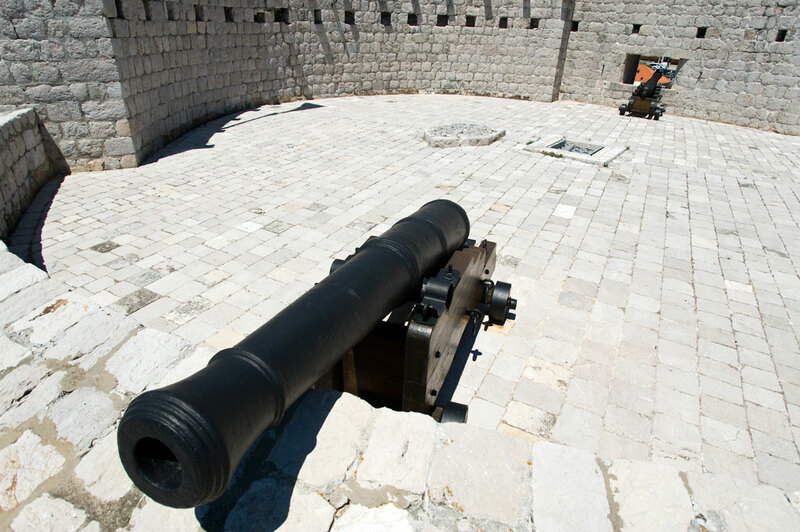 Bokar was conceived as the key point in the defense of the Pile Gate, the western fortified entrance of the city. Together with Minčeta tower this fort is one of the key points in the defense of the western land approach to the City, the main task being protection of the Pile gate bridge and the ditch. 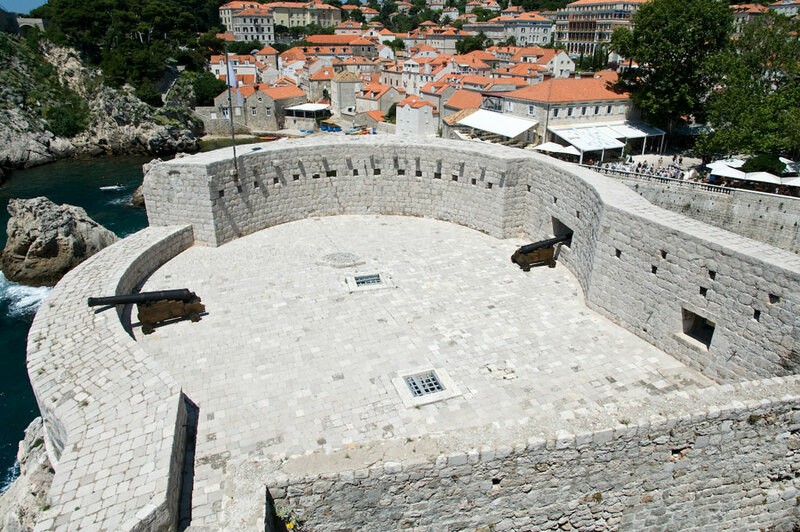 It was built as a two­story casemate fortress, projected in front of the medieval walls with its whole cylindrical volume. Considering that one part of the fort is standing on a detached rock, arhced supports were made to bridge the gap. The sea still passes beneath the fort as it did when the for was first built. This can be seen in the picture left. 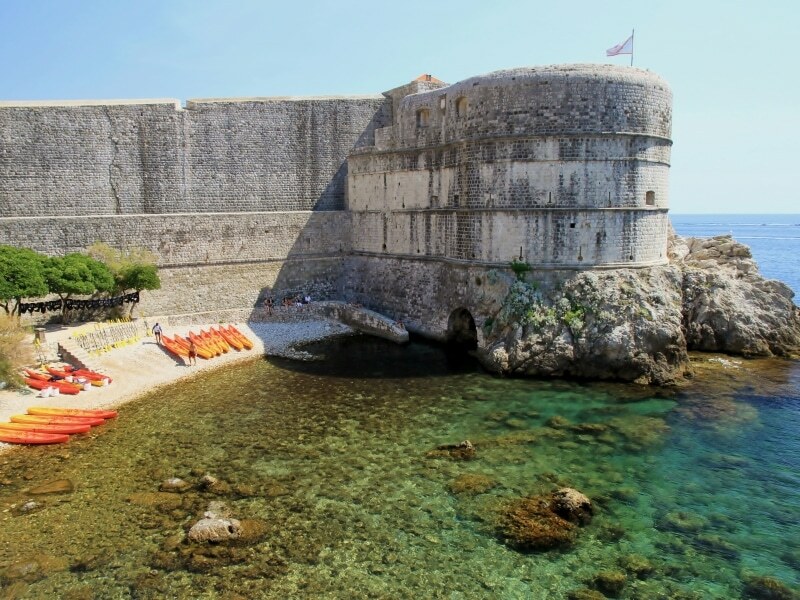 The Bokar fortress was built according to the designs of Michelozzo di Bartololmeo of Florence. The building of the fort started in 1461. 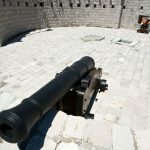 From 1463, historical data shows that cannons were tested form atop of it and the fort was not completed for a long time afterwards. In 1470 a debate is held about the neccesity of finalizing the project. The fort had been roofed in 1555 and upgraded in 1570 to its present state.